Traveling the world allows divers to meet all kinds of people of different origins, customs and colors. On occasion, a diver may also encounter a dog of any breed, size or color. If you have a beach full of people, perhaps you might strike up a conversation with someone else, but maybe not. If you have a beach full of people, and one person with a dog, the chances of striking up a conversation increases significantly. Dogs create opportunities to strike up a conversation with their owners, or other people who are also interested in meeting the dog. A yellow Labrador Retriever on the island of Utila who enjoyed catching iguanas, napping and spending the night with guests who would allow him inside their cabins. Her main companion was a Belgian diver, scuba gear technician and all-around great person to meet. 3 Belgian Malenois dogs in the Bahamas. They belonged to the US Ambassadors' wife, who let her dogs play in the waves and enjoy a beautiful Bahamian day. 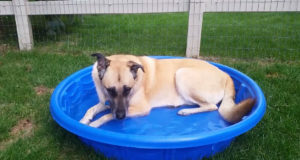 1 Anatolian Shepherd who cools himself in the kiddie pool like a boss. 1 mini Australian Shepherd who enjoys Frisbee time on the shores of San Francisco. His owner, a young non-diver out enjoying a cool summer day. 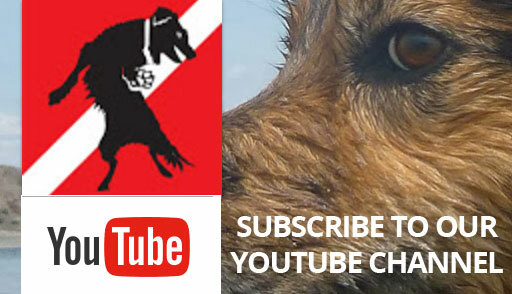 Countless "mutts" all over Mexico, with local caretakers who know the dogs by name. Many locals know great places to go, places to avoid and people to meet. 1 wave-biting Australian Shepherd, who enjoys paddle boarding, boating, beaches and can even pull a live trout out of the water like a bear. 1 black Labrador, Mastif, Great Dane mix who likes to swipe mugs, plastic bottles and Starbucks coffee. His owner, a scuba instructor who enjoys time in the sun and fun. 1 Golden Retriever puppy named "Krazy Karl" who loves the beach, and rolling in the sand. His family enjoys time in the water together. Many more travels will come, but people and their pets make any scuba diving trip a more genuine experience when meeting the locals - even if they're a little bit furry.